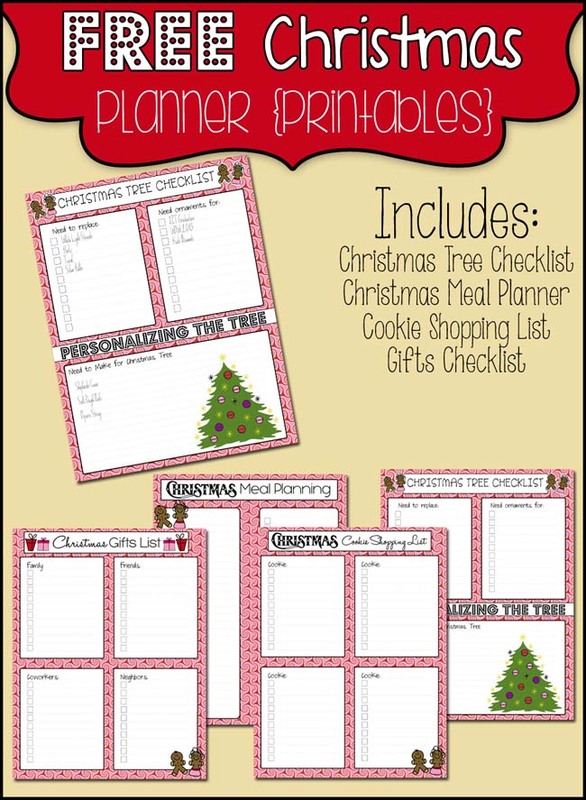 Get organized this year for Christmas with our FREE printable Christmas planner! 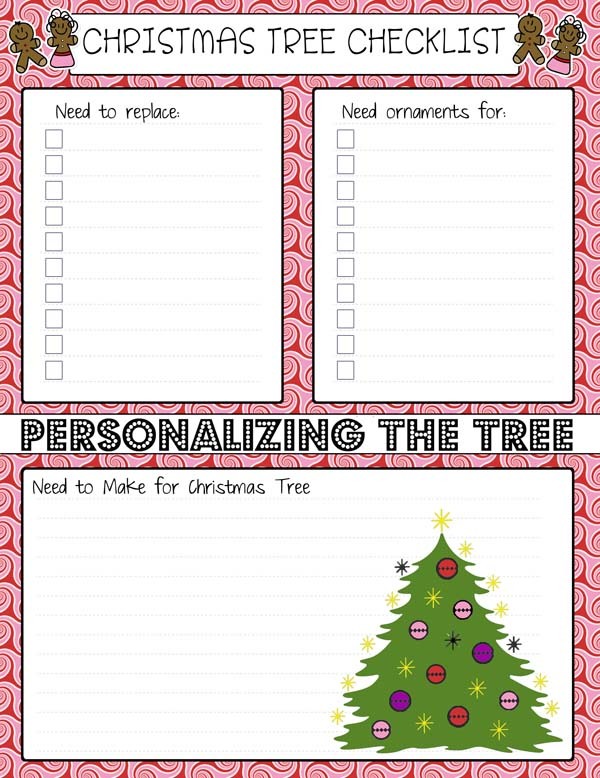 Including checklists for the tree, cookies, baking and meals! 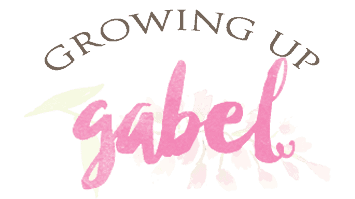 Ready or not – here it comes! 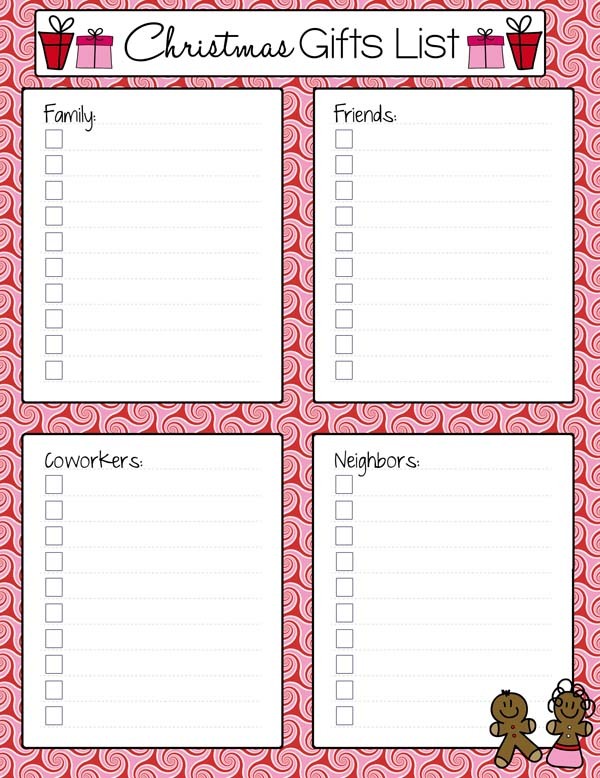 Christmas is just around the corner and staying organized will help make your holidays less stressful. A Christmas Tree Checklist: I keep this one taped on to the top of my main ornament storage box. Some years I like to do themed trees and this helps me know what I have and what I need! I also enjoy making ornaments and this list a good place to put ideas. 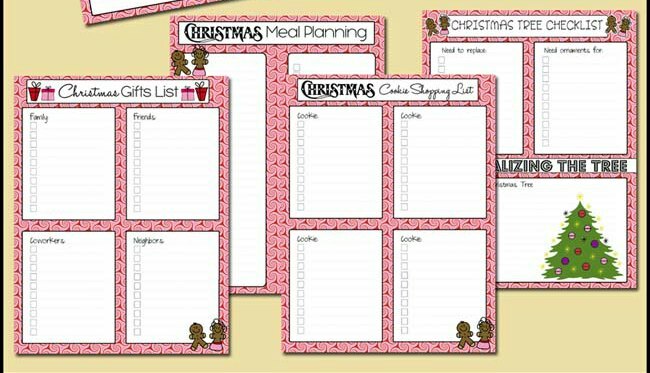 Christmas Meal Planner: Meal planning is essential to staying on budget, not eating out too much and to keep your sanity during a very busy time of year! Make a list of dishes you want to make in December on the left, and the ingredients you need on the right. Watch for sales and check them off as you buy them. 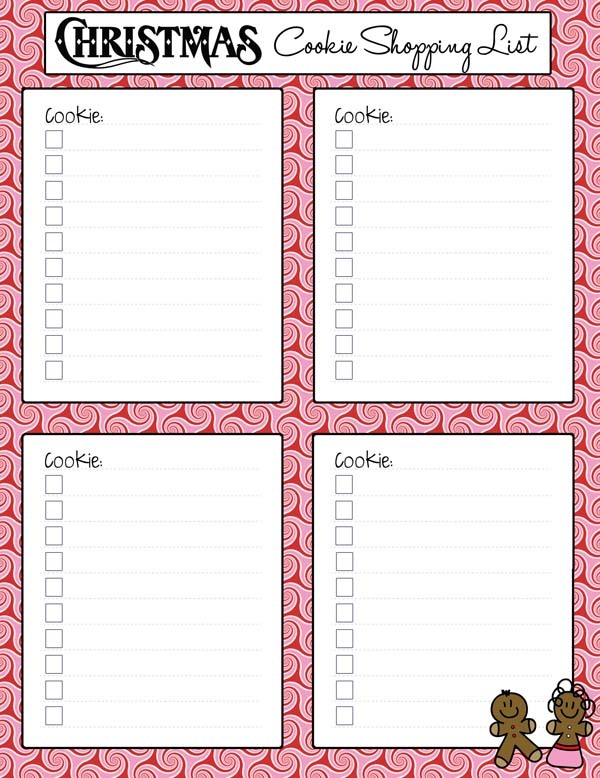 Cookie Shopping List: Keep a handy list of all the treats and goodies you want to make this season! Keep a list of the cookies you want to make and the ingredients you need. 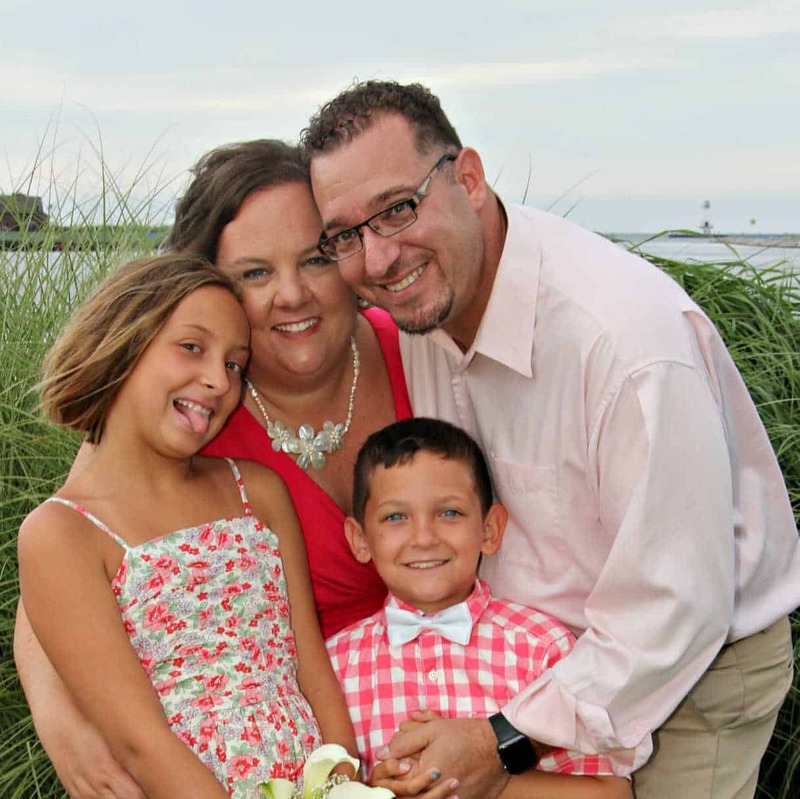 Gift Checklist: Every year I forget someone I wanted to get a gift – even a small one. Last year I wanted to give the kids Sunday school teachers gifts, but I lost track of time and just forgot. Not again! this year I'm making my own list and checking it twice (ha ha)! Hi Teresa! If you scroll to the bottom of the post, there is a box. Just fill in your name and email and you’ll receive the planner! Is this still available to download? Can you select different size prints? Like for a smaller binder (5X7)? I didn’t realize I needed these until I saw them Thanks for sharing on the #HomeMattersParty this week. I hope you join us next week. These are so cute!! Fun and practical thanks! You are welcome! Happy planning! I enjoyed your Christmas downloads!! Thank you, Sheryl! I hope they are helpful this holiday season. I can’t believe it’s time to start thinking about Christmas already!